Detroit – While the political basis for fascist activity has long existed within the imperialist system dominant in the U.S., it has been on the resurgence in recent years. Based in white supremacist ideology and the colonial experience, fascist activity has been on a steady uptick during the presidency of Barack Obama. Now, the election of Donald Trump has given the far right increased boldness and perceived legitimacy. Arising from a history of intense national oppression and class exploitation going back centuries, the racists and bigots are on the offensive in the public political sphere once again, not seen on such a scale for many decades. In the face of this reality, communities are organizing. 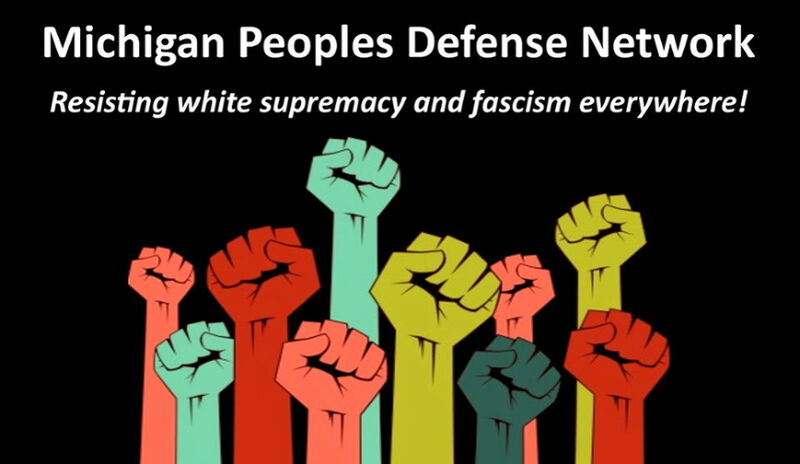 In Detroit, workers of all ages and backgrounds have initiated an effort called the Michigan People’s Defense Network. With the tagline of “Resisting white supremacy and fascism everywhere!” it is a rebuke to potential fascist organizing and racist attacks in southeast Michigan. The network’s first meeting was convened in a packed room of 50 or more people on Dec. 10. They pledged to provide material solidarity wherever possible to those who have become or fear becoming victim to fascist violence or aggression. Whether offering escorts, scrubbing racist graffiti off property or simply providing refuge, the People’s Defense Network pledges resistance. Its meetings have been ongoing, with the next set for Feb. 4. The coalition agrees that all sectors of the working class must be involved in creating a united front as the political and economic crisis deepens and the struggle becomes more intense. Donald Trump and the emergence of the so-called “alt-right” are symptoms of this crisis and must be met with resistance. Similar groups have been forming across the country, and the struggle is intensifying around the globe. Building solidarity and people’s power is the answer to this right-wing offensive. For more information, contact [email protected] and facebook.com/MichiganPeoplesDefenseNetwork.